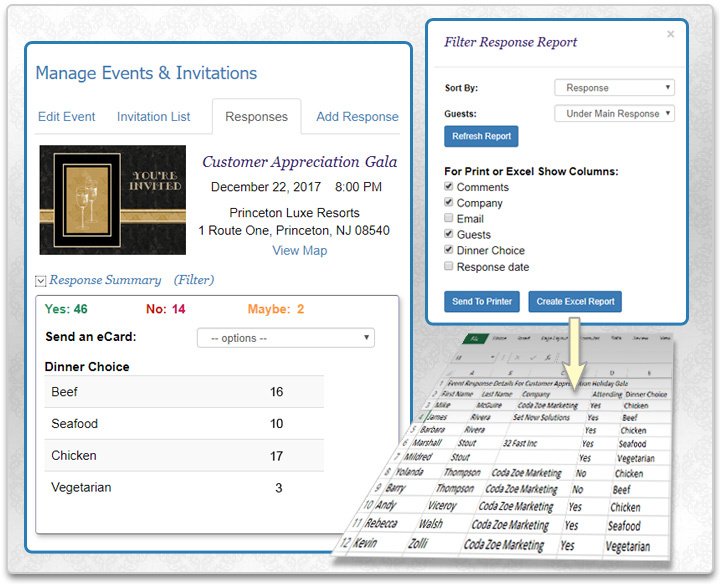 Easily create an unlimited number of professional, advertising-free invitations and see your guest responses in real-time with CorpNote's Online Invitation Manager. 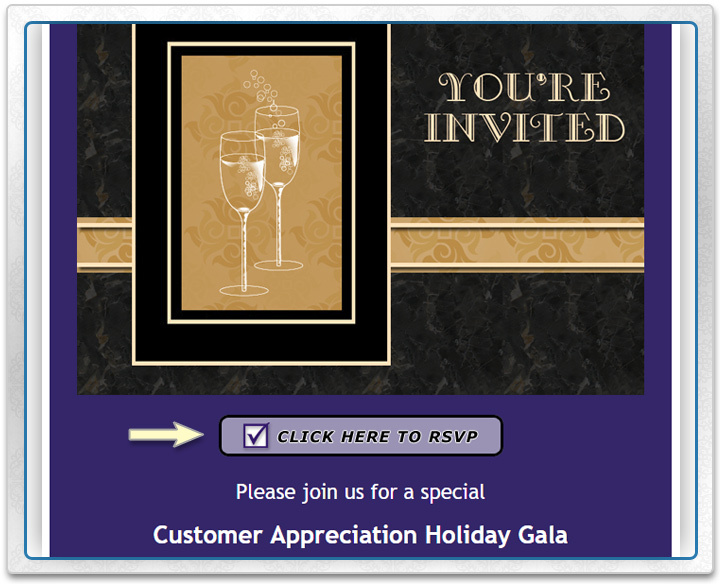 You can download and print event guest lists as well as send follow-up messages. You can also seamlessly combine online invitations with the survey manager for a wide range of uses. 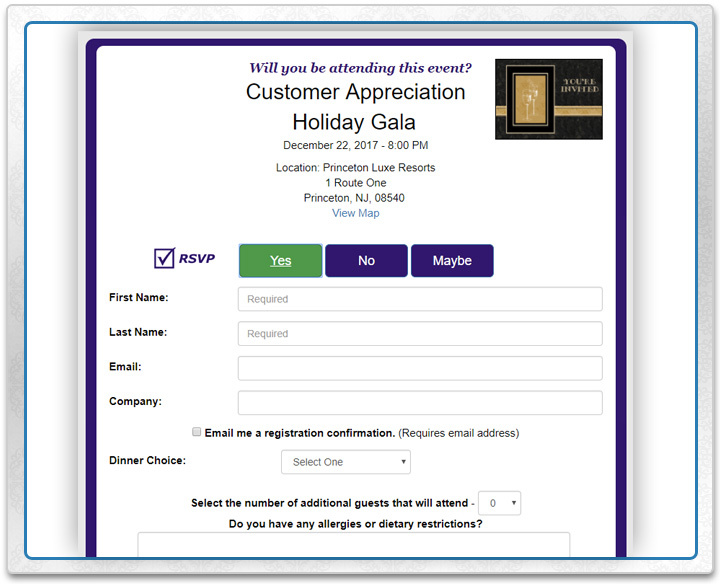 Enter your event information and customize which response options you would like your guests to answer. Send your invitation or link to the sign up form on your website, newsletter or social media. As people reply, you can view RSVPs in real-time, print guest lists and send follow-up messages. 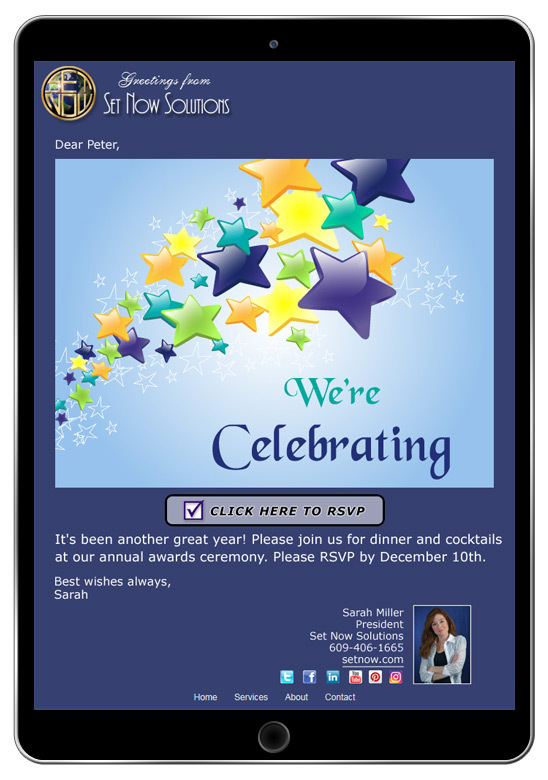 Why Use CorpNote for your Online Invitations? What do I do if people respond by phone or cancel after they said yes? You can easily add people to your guest list and edit any guest's registration information so your list will always be up-to-date. Can I send multiple invitations for the same event? Yes - no matter how many separate invitations you send for an event, your guest list is automatically consolidated for you. What do I do if the event information sent with an invitation has changed? As soon as you change your event information, your changes will immediately appear to anyone completing the response form. To notify all of the people you invited that the event information has changed, go to your 'Invitation List' and send an eCard with the updated information. For more detailed information, view our Invitation Manager tutorial. "I appreciated the assistance when I needed it and definitely would recommend CorpNote to others especially those who are part of a corporation or own their own business. I used CorpNote for an invitation to our bicycle club Christmas party. It made it easy as it kept count of the people attending and those who were going to participate in our gift exchange game at the gathering."